Y-PLAN is not only an acronym, Youth - Plan, Learn, Act, Now!, it is also a pun. Why plan? 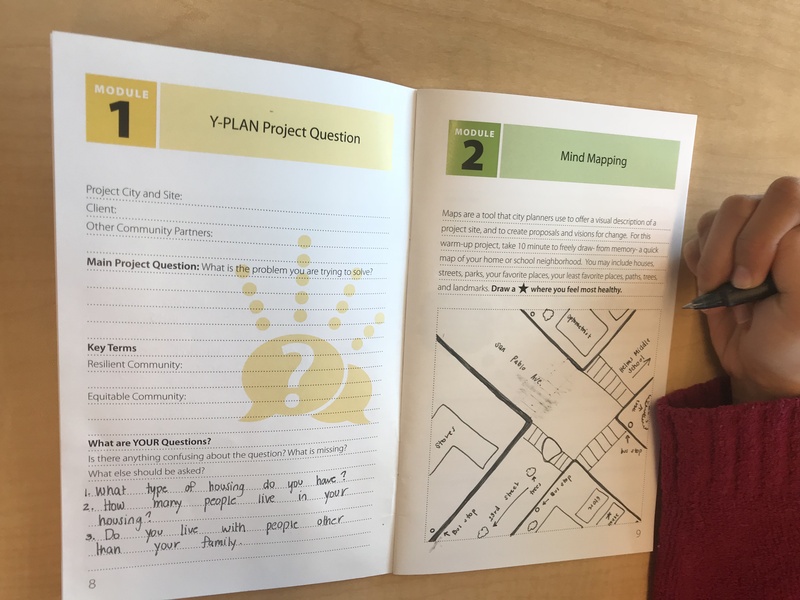 At its core, Y-PLAN guides students through the process of digging deeper into the questions of why. Why do we plan? Why are conditions the way they are in one part of the city and not another. Why not vision and plan for a more equitable future? One of the first activities to introduce these questions to students is mind mapping. As a geographer and a Y-PLAN Coach for the Center for Cities + Schools, mind mapping is one of my favorite activities in the Y-PLAN process. I was first introduced to the idea of Mind Mapping last year when I was a student in Dr. Deborah McKoy’s UC Berkeley undergraduate seminar. Before going into the field, we, as UC Berkeley students, do the activity in seminar to better understand its purpose before we then present it to the high school students we mentor. The idea behind Mind Mapping is that our minds are filled with maps of the places where we live. Just as we do not need a map to get from room to room in our house, our mental maps are our connection to the spaces around us, and the way we perceive a place can be an indicator of how we see ourselves within it. 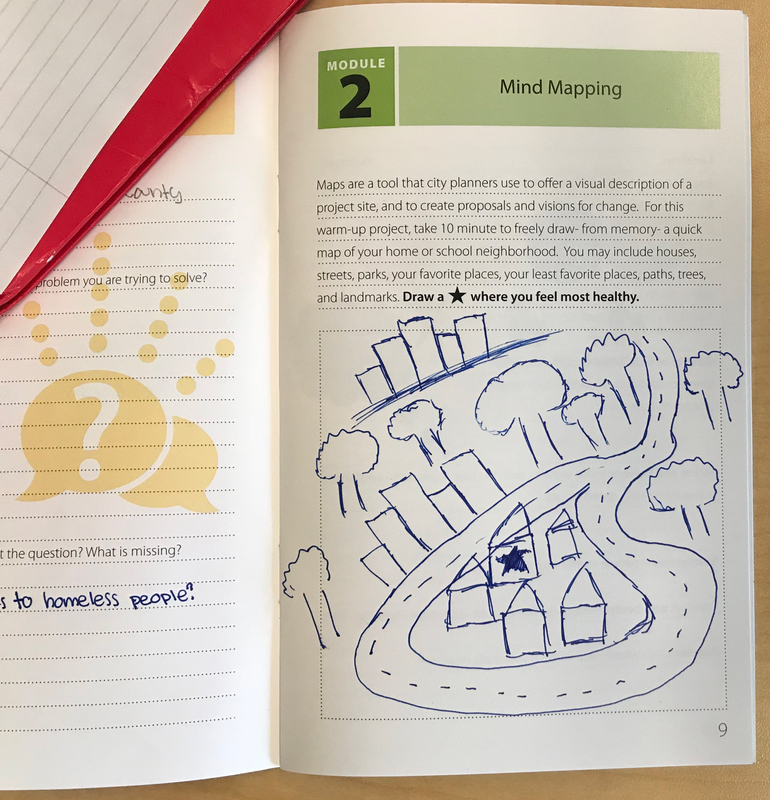 In Y-PLAN, Mind Mapping introduces students to spatial thinking, as well as the process of thinking critically about the places around them. This is why it is one of my favorite activities; I like listening to the students’ stories about the spaces around them. Much of what they share are things they think about daily as they move through a space, but they may not always get the chance to discuss those experiences. I also learn a lot about the city through talking with students. Young people move through spaces differently than adults. They walk to school daily or take the bus. They are confined to the city in ways that adults are not, most of them do not have jobs or own cars. They have to use the amenities the city has to offer to move around. This semester I have been working as a Y-PLAN coach in Health Professions High School in Sacramento and De Anza High School in Richmond. Even though I was raised in the Bay Area, I have not spent a lot of time in either city. In both classes I have had the opportunity to do the mind mapping activity with the students, and they have taught me a lot about how they see their neighborhoods. Why is one neighborhood safer than another? What changes between neighborhoods that makes them so vastly different, even when they are physically so close together? The mind mapping activity as well as the walking field trip are supposed to spark this type of critical thinking, and it works. Students share their maps with one another and discuss the difference between them. The comparison of places was common in both the classes in Sacramento and those in Richmond. 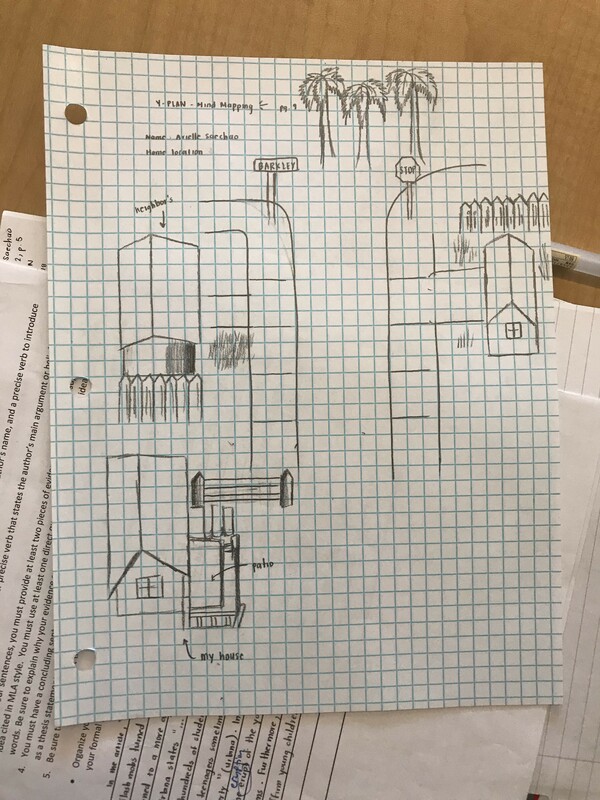 In De Anza High School, one of the students I talked to drew a map of the street her house is on. She told me that her house was the place where she felt safest, yet her house was located next to a street connected to a freeway exit. She said the street makes her feel very unsafe because the cars always speed down the street and there are always car accidents near her house. We discussed possible changes that could make the speeding stop and the student said that she would like to see speed bumps or some traffic lights to stop the cars. Many other students expressed similar concerns, they felt safe in their homes but something near their house made them feel unsafe, for a variety of reasons, from speeding cars to vacant lots to abandoned houses accumulating trash and attracting suspicious people. Other students had the opposite experience, they lived in neighborhoods that were quiet and made them feel comforted. 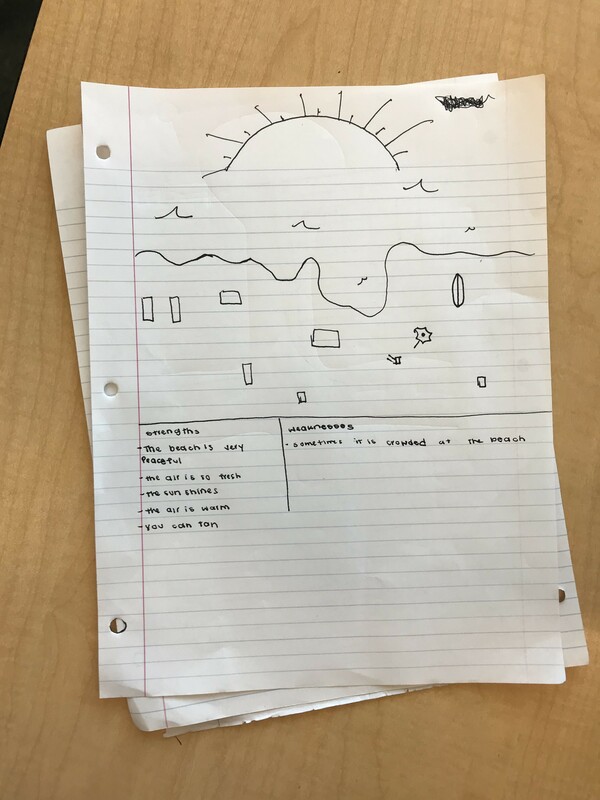 As students shared the details of their neighborhoods and compare them to each other, they began to grapple with the same questions as their peers from Sacramento. Why are there such vast differences in their neighborhoods when they don’t live too far from each other? Why are the conditions they way they are here, and not in another city, in another community, in another neighborhood, even on the next block? How can we start to change those inequalities to make a better community for us all?